Events season is here! It’s not even the end of May and we’ve already had the Ely Food Festival, Kirstie’s Handmade Fair, Pub in the Park and many more. 2018 is our biggest year yet and we’ve got 25 events in 20 weeks. We love attending summer events and shows. 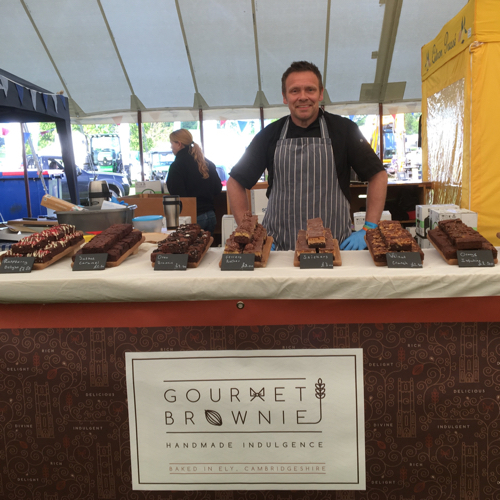 They’re great places to meet customers old and new, to try out new flavours and to celebrate everything that’s great about Gourmet Brownie. There’s always a good community spirit at these events and they’re a real highlight for us. Earlier this month we took our brownies to Pub in the Park in Marlow. This event is organised by chef Tom Kerridge. It’s a great combination of pub grub, down-to-earth gourmet food and fantastic live music. We had a wonderful time and can’t wait to go back to the next Pub in the Park event in Bath, 8-10 June. Tickets are available here. Getting ready for an event is a bit like doing a giant jigsaw puzzle – there are lots of pieces that need to come together and sometimes it’s a bit tricky. Scott, our bakery’s production manager, helps bake over a thousand brownies before each event and there’s a lot to co-ordinate. How does Scott keep his cool when there’s so much to bake? "Being surrounded by chocolate all day is basically my dream job. Watching everything come together and then seeing so many happy faces makes all the hard work worthwhile!" Our customers love our classic flavours, but it's always fun to try something new at a special event. Our extreme brownies have a real reputation now for their amazing and inventive flavours and our customers always love to see what’s new. That’s right, forget about fancy cakes that look amazing but have no flavour or substance. We want a brownie that looks good and tastes good. We promise that ours won’t disappoint. Want a little hint about what’s in store for this summer’s events? Think Reece’s chocolate cups, peanut butter fudge and white chocolate drizzle. Can’t make it to our events? 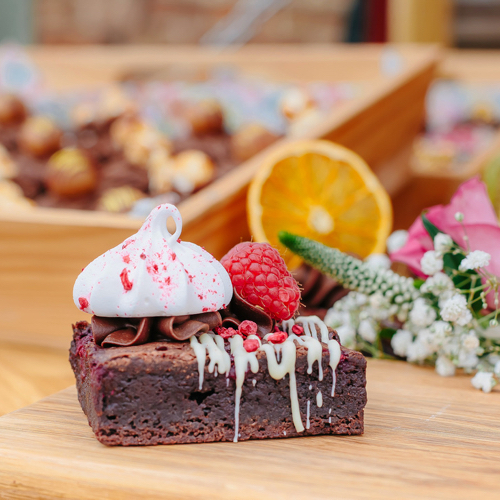 Don’t worry, we can deliver our award-winning brownies through the post Choose from boxes of four or eight classic brownies or go extreme with our Snickers-inspired brownie slab! For full details of all our events and shows this summer click here.